Rain rain go away, I hate the treadmill and nothing rhymes with away. My first month of Marathon training did not go as planned. The first week of June I had a severe sinus infection. The second week, I was finding myself week. The third week of June included my birthday and an engagement. Next thing I know, July was knocking down my door. OOPS. When I got accepted into the New York Marathon, I decided to start the Galloway Dopey Challenge training a month early. This will keep me on track with Dopey while getting the mileage needed to train for NY. I did the best I could with my training plan with everything that happened in June but I did not follow my it 100% and found myself making excuses not to run. 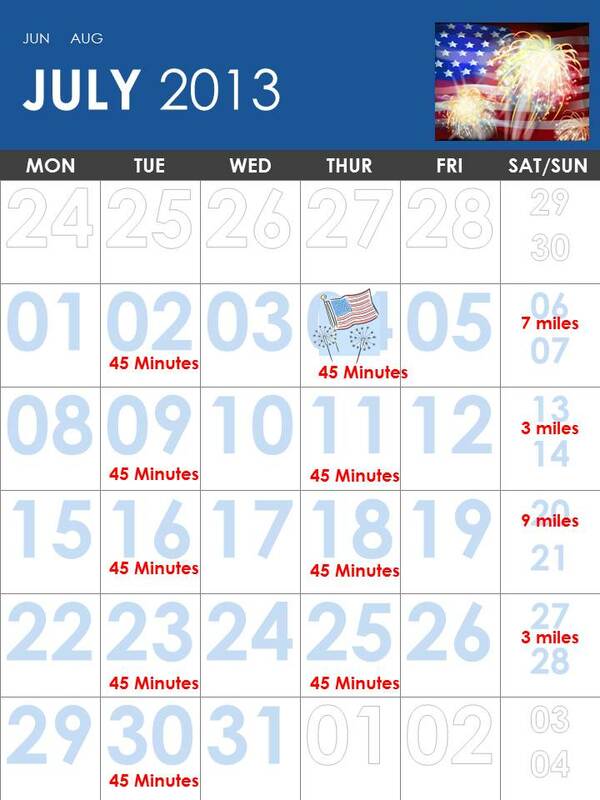 Now July is here and seeing every other Saturday with 2 mile increases has me very concerned. I am not sure if I like the weekends which has three miles. I feel it is a vast difference between the weekends with really high increases. Yet who am I to question an Olympic marathon runner? 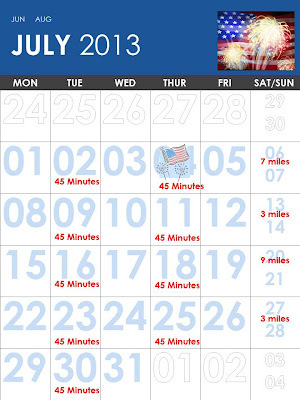 I am thinking I should at least do 4 miles on those Saturdays that say 3. That is if it ever stops raining in FL. I really do not want my relationship with my treadmill to progress any further. He's already too clingy. Note: This is just my running schedule, not my full training plan. On the off days, I will be incorporating strength training and stretching. Running 1 +/- mile won't make or break your marathon training :) If you are more comfortable with 4, do it. You know you and your running best.